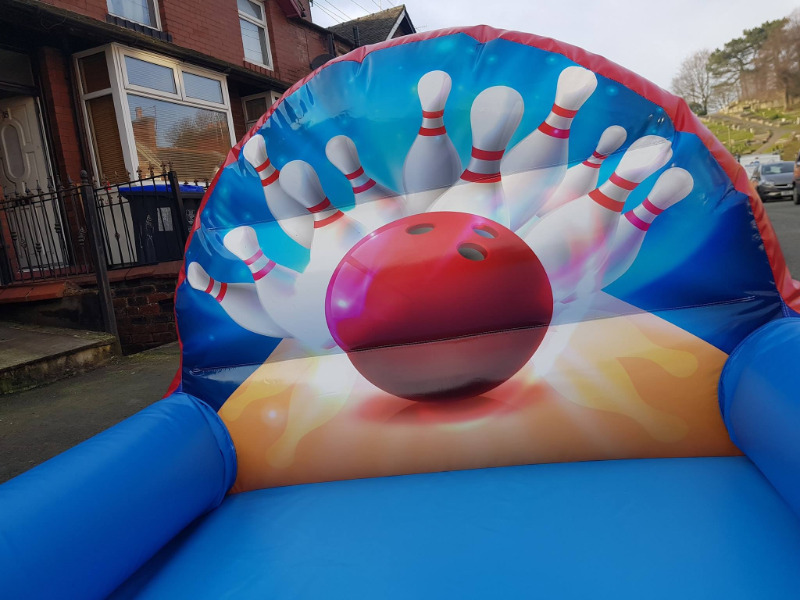 What could be better than having your very own bowling alley? 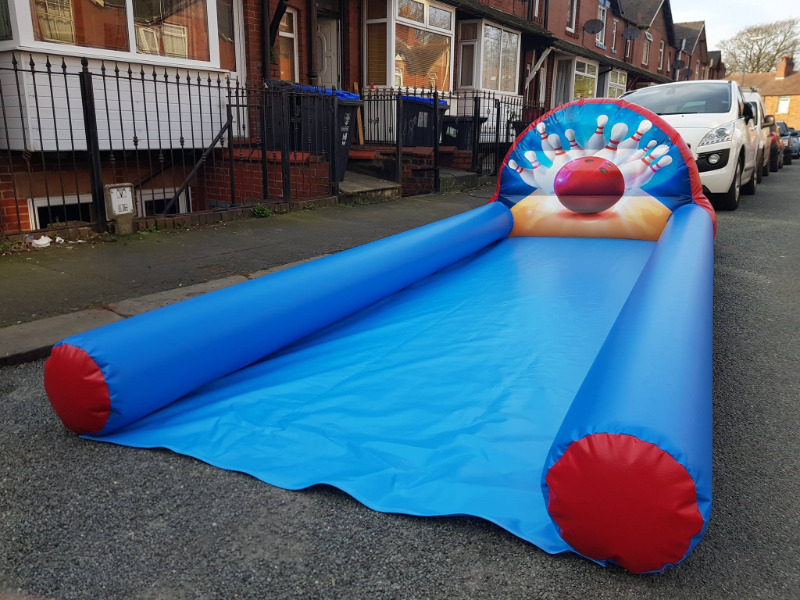 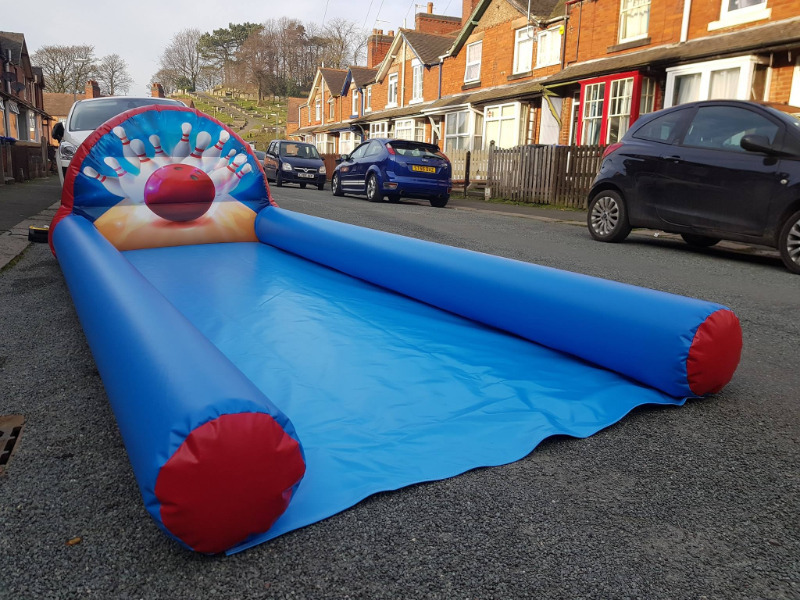 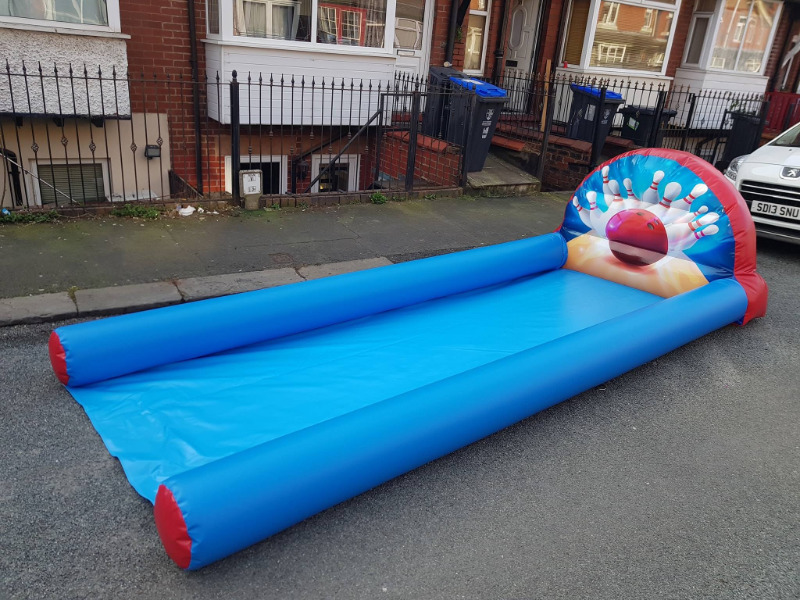 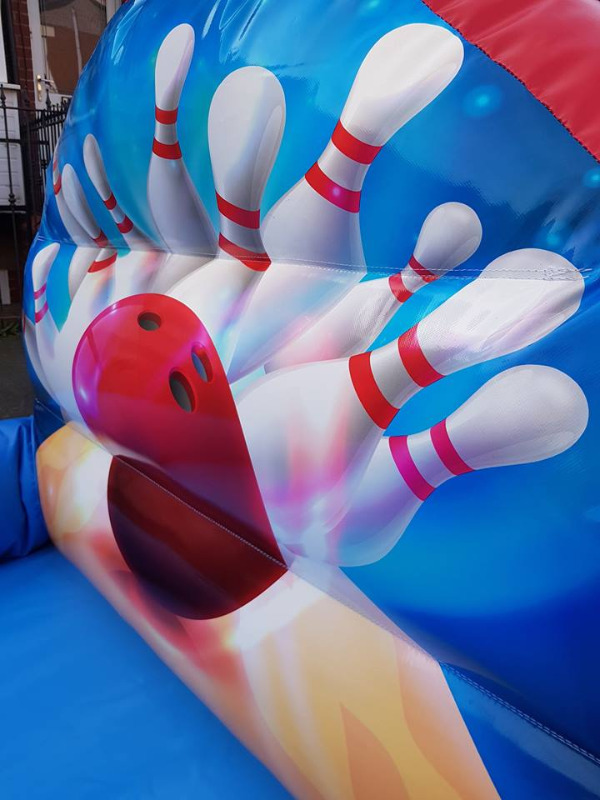 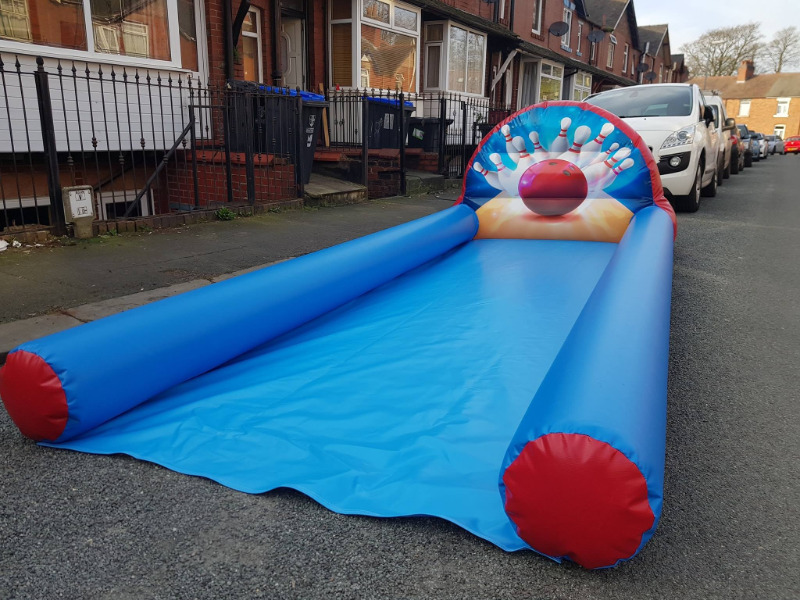 Our inflatable skittle ally is a perfect addition to any party or event. 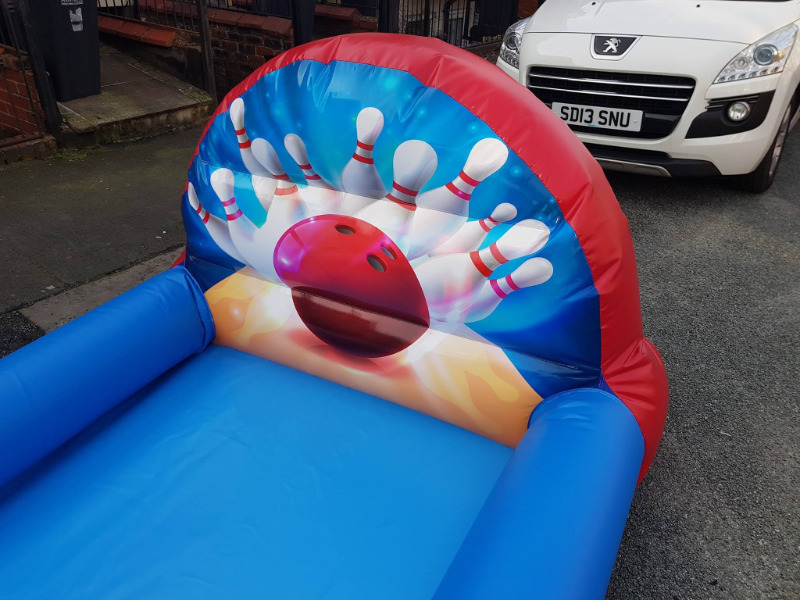 Our single lane bowling alley measures 14ft (plus blower tube) and 5ft wide.